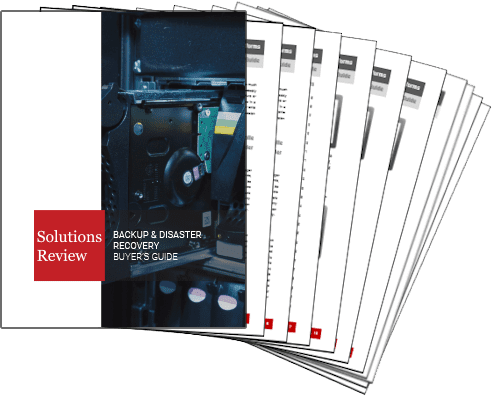 The backup and disaster recovery space has been steadily evolving over the years, thereby moving away from the way consumers have traditionally viewed the field. Modernization is crucial in today’s market; without it, businesses will be unable to manage new data types and deployment models, or increased workload volumes. Key requirements for modern backup and disaster recovery solutions are components such as ease of deployment, ease of daily administration, and a quick time to value. With that in mind, we look to the future of backup and disaster recovery solutions. Whether they’ve seen an increase in venture capital, released an innovative new tool, or were included in one of the top analyst reports, these are the providers that have earned watch list status from Solutions Review for the year ahead. The vendors are listed in alphabetical order and have specific areas of expertise. Carbonite is recommended for organizations that want a full-service offering or have IBM Systems workloads. The vendor provides cloud-based backup, recovery and storage solutions to enterprises. Data recovery with Carbonite is also fully managed by the provider. In addition to this, Carbonite’s Cloud Disaster Recovery centralizes the backup and recovery of data on all computers distributed throughout an organization’s locations. 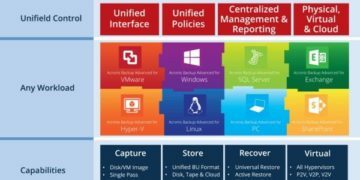 Druva’s solution, Druva Phoenix, makes it simpler and more cost-effective for users to protect all of their data across today’s complex infrastructures with cloud backup, disaster recovery, and archival. The solution can be deployed in minutes at sites located around the world, while also aligning with regional data storage regulations. It can be managed from a central location, giving IT administrators full visibility and control over server backups and data composition. Hitachi Vantara offers users a single unified platform with business defined data protection in order to simplify the disaster recovery process. In addition to this, the provider’s solution brings consumers the Hitachi Data Protection Suite, powered by Commvault, which orchestrate multiple, complex data protection under a single management interface. 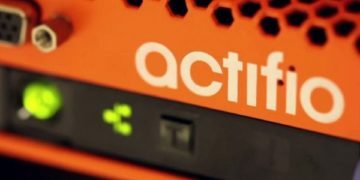 The vendor also provides remote replication, global-active data, and the Hitachi Data Instance Director, which lowers the risk to meet service-level requirements through the use of advanced copy management techniques. By offering an intelligent software solution with the power of the cloud, Infrascale transcends the disaster recovery cost barrier without complex, expensive hardware. The vendor’s solutions are a good fit for businesses with a hybrid infrastructure that doesn’t include a mainframe or that have needs outside of backup for Unix or IBM System i servers. Additionally, Infrascale’s dashboard simplifies the management of data protection by providing a single pane of glass through which the entire suite of services is deployed. NovaStor’s solution, NovaBACKUP, is a centralized backup software for heterogeneous IT environments including Windows and Linux, VMware and Hyper-V. With multi-tenancy functions, customers have the option to set up and maintain multiple locations, departments, and users within the company’s backup infrastructure. The premium support for NovaBACKUP DataCenter includes unlimited phone and email communication from NovaStor’s US based technical support team. With TierPoint, users have access to cloud-to-cloud Disaster Recovery as a Service (DRaaS), server-to-cloud DRaaS, Azure site recovery, backup services, and Business Continuity Workspace, as well as additional platforms. 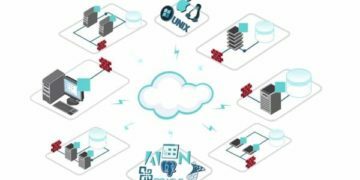 The vendor offers a scalable hybrid cloud recovery solution, which allows users to coordinate and automate the replication and recovery of their environment in the event of an outage. In addition to this, TierPoint offers backup technologies which reduce data loss while meeting security and compliance requirements at the same time.